The Battery Saver 9950 All-In-One Charger is the new heavy artillery from the Battery Saver line of products. This “All-In-One” model, provides new capabilities that support both 12v & 16v Lead Acid and 12v & 16v Lithium Modes. 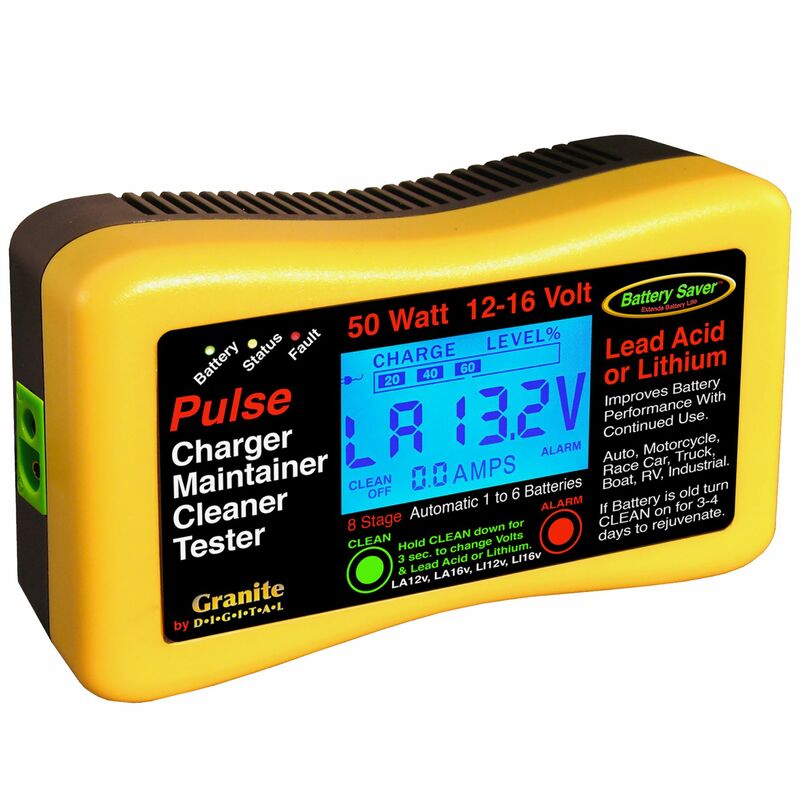 The “9950” also has a CLEAN mode, which will PULSE CLEAN your battery’s plates from the sulfate that may have built up over the years in your Lead Acid Batteries. It combines our most powerful charger with the sophisticated micro-processor control and PULSE Maintaining. 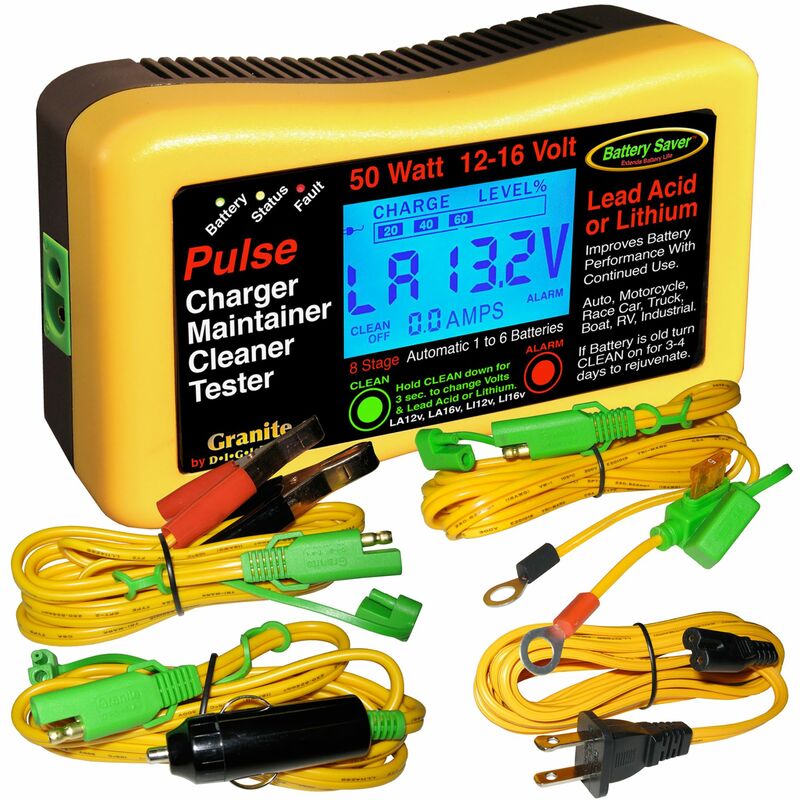 The LCD screen displays the Charge percentage bar, voltmeter, and AMP output meter. It can diagnose if there is an issue, allowing you to determine whether the problem is your vehicle’s battery or alternator not charging the battery properly. Works with: Lead Acid, AGM, Gel, Dry Cell, Spiral Cell, Deep Cycle & Now Lithium Ion batteries! More Powerful! Now with Faster Charging Speeds! Do you own the 9950? Please, tell us what you think about it. It helps us provide you with better products. Please note that it may take up to 72 hours for your review to appear.